Mohave Community CollegePress ReleaseAuthor, Photographer, and Amateur Historian Connects with the Community at ConCom. We caught up with author/photographer and amateur historian, Jim Hinckley at MCC’s Connecting the Community Event March 29th. 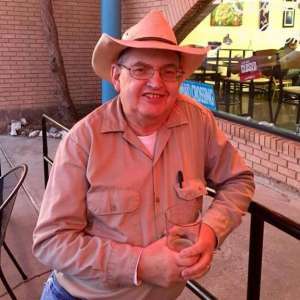 Jim likes to attend as many local events as he can and loves to promote community togetherness, he’s authored more than ten books about Route 66 and operates a website, Podcast, and Facebook group all called Jim Hinckley’s America, where he talks about Route 66 and other histories of the great southwest. You can learn more about the amazing event that was hosted on the BHC campus over at the Mohave Daily News article here.